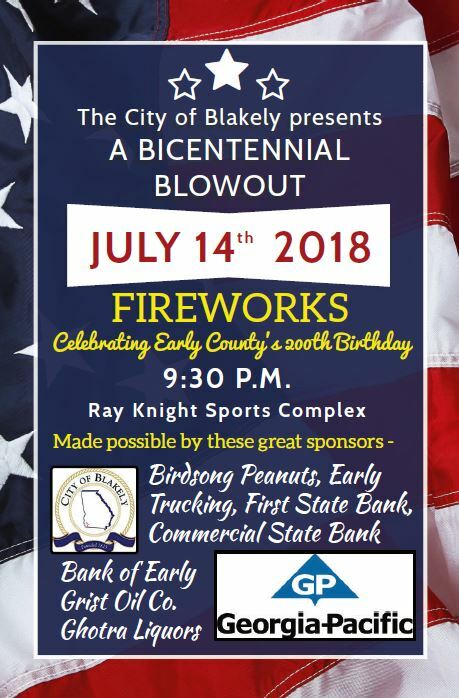 Join us in celebrating Early County’s 200th Birthday on Saturday, July 14th at Ray Knight Sports Complex. The fireworks show will begin at 9:30 PM. We hope to see you there!